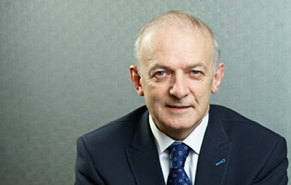 The former chief executive officer of Carlisle-based Stobart Group Ltd, Andrew Tinkler, has bought a stake of just over 12% in British airline Flybe Group Ltd, according to a filing, Reuters reported. The report said Tinkler, fired from Stobart in July, disclosed a 12.23% stake reut.rs/2Rs4sLI in Flybe, which is already being acquired by a consortium involving Stobart Group, Virgin Atlantic Airways and Cyrus Capital Partners. In a statement, Tinkler said: “My investment in Flybe has nothing to do with the ongoing dispute with Stobart Group board. “It is purely an investment decision. “Flybe is an important part of the UK economy, particularly helping to connect regional businesses and consumers outside London. “I have huge faith in the potential of this business if it is provided with the right balance sheet structure and stakeholder support.